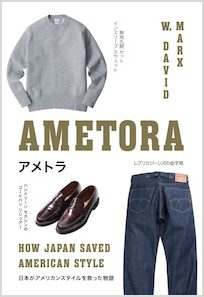 Ametora is a cultural history covering the Japanese assimilation of American fashion over the past hundred and fifty years — Ivy, hippie, outdoor, rock 'n' roll, preppy, street fashion, and vintage — showing how Japanese trendsetters and entrepreneurs mimicked, adapted, imported, and ultimately perfected American style. Excerpts of Ametora in The New Yorker (dot com) and Lapham's Quarterly. Interviewed for GQ, Monocle Radio, The Fader, Put This On, FashionREDEF, and Fashionista. Reviews and recommendations in New York Times, Wall Street Journal, Vogue, Entertainment Weekly, People, Quartz, The Globe and Mail, The Japan Times, A Continuous Lean, Publisher's Weekly, and the LA Review of Books. The Japanese version of Ametora was released in August 2017 from Disk Union's DU Books, after being serialized over a year in magazine Popeye from the September 2016 issue. Buy Ametora on Amazon or at an independent bookstore. Sign up for the Ametora Dispatches occasional newsletter and read extra texts from the book at Ametora Extended. The Best of Shibuya-kei, Volume One: A new non-stop DJ mix of the greatest songs from Japanese indie dance music genre, Shibuya-kei. 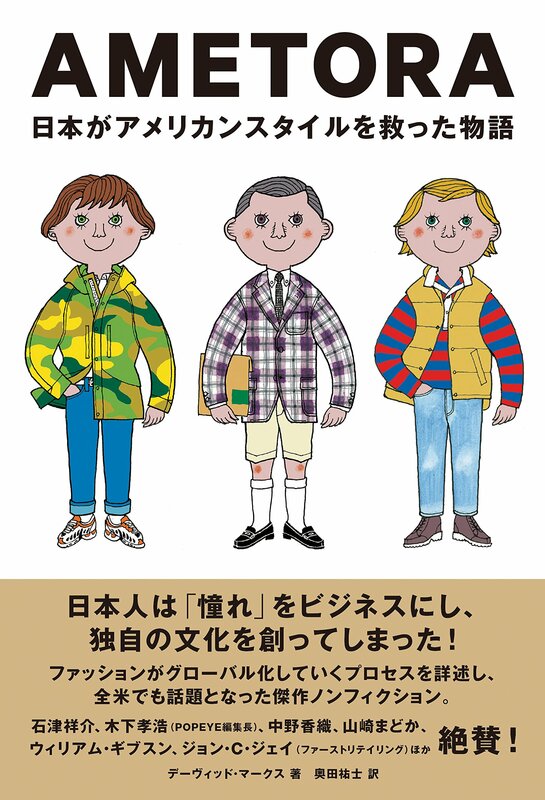 BEAMS: Beyond Tokyo: Helped with translation and English editing on the Japanese mega-brand's 40th anniversary pictorial anthology out from Rizzoli. Review of Absolutely on Music: Conversations: Thoughts in The New Republic on the English translation of Haruki Murakami-Seiji Ozawa's dialogues on classical music. "The Ultimate Guide to Japanese Style": A primer on Japanese menswear on Mr Porter. "Construction": A short story on Racked about the dangers of urban workwear. Popeye essays: Bilingual English and Japanese essays on Take Ivy (February 2016) and the 40th anniversary of the magazine (July 2016). Visvim Dissertation on Self-Verification: 2001-2011: Essay and interview with Hiroki Nakamura in Visvim's limited-edition 10th anniversary book. Best Music Writing 2009: Inclusion of essay "Theoretically unpublished piece about girl talk, for a theoretical New York magazine kind of audience, give or take an ox on suicide watch" co-written with Nick Sylvester. "An Open Letter to Kanye West from the Association of French Bakers": Time, USA Today, NBC News, and Hollywood Reporter covered this letter as if it was real. It was not. The New Yorker (dot com) stepped in to clear up the situation. Idols and Celebrity in Japanese Media Culture: A chapter in academic anthology covers the industry structure of Japanese management companies (jimusho). "The Great Shift in Japanese Pop Culture": Five-part essay on Néojaponisme. "Fifteen Years of Fantasma": 10,000 words on Cornelius' landmark album. Kyoshu Nostalgia: Marxy's debut album, 2005.